Act now or regret later,Mr.P.M Modi! Even your enemies admire your vision, talk, hard work, punctuality and body language. But your Parivar members are spoiling all your good name by going against your vision. On the one side, you are talking about inclusive growth with total dynamism. On the other side, RSS, VHP, Bajarang Dal, Rama Sena, ABVP and other organisations of your ideology are propagating exclusive growth for Hindus. Is this possible? It is high time that you control these troublemakers and ensure a peaceful India. It is not the question of talent here. The Prime Ministership is all about right action at the right time. Those who are extremely capable but failed to act were forgotten even by the history. Remember, the Godhra violence one and half decades ago. You may not be directly involved. But you were made an untouchable by the entire world for such a long period because of your failure to act against the perpetrators of a huge crime against the humanity. Whether Hindu or Muslim, punish them for crime. Never segregate criminals on the basis of race or religion or caste or gender. Immediate punishment is the only solution for persistent problems like communal violence. If you do your duty neutrally you are bound win election after election. This is not only your problem. Remember, Dr.Manmohan Singh your predecessor? He is the most educated and experienced politician turned bureaucrat. Because of his failure to check corruption and act against those criminals costed his reputation and his party the vast power to rule India. If you want to settle permanently in the hearts and minds of Indians, you must act now. Act against those who violate the constitution, rules, regulations and laws of the land. Remember the advice given by Lord.Krishna to Arjuna! After the assertion that astrology makes a pygmy of other sciences, that khap panchayats protect us against social evils, we now have the suggestion that the Bhagwad Gita must be recognised as the ‘rashtriya granth’ or National Scripture. To transform the Gita into a statist government textbook when its mysteries or rahasyas have enthralled every individual in richly varied ways is an injustice to its philosophy. If the government indeed needs a National Book, why not the Constitution which in its progressive ideals should be the blueprint for a modern India? Yet BJP, in its aggressive defence of Sanskrit, Vedic science, palmistry, astrology and the authenticity of the epics, seems set on a collision course with modernity itself. BJP has a problem with the modern. While the PM promises a globalised future, the HRD minister attempts to banish the teaching of German and impose Sanskrit. While the PM announces Make in India, the Swadeshi Jagran Manch says it prefers ‘Made by Indians’. During polls BJP reached out to the youth voter, but now Sangh outfits are the main moral policemen on youth, opposing love and kissing as anti ‘Indian culture’. This Sanskrit imposing, khap panchayat upholding mindset runs counter to the thumping youthful mandate for a forward-looking India. ICHR head Y S Rao says we need to accept the epics as ‘true’ accounts to roll back the evil influence of Leftist Macaulayputras who saw them as myths. Should 21st century scholars try to prove the Mahabharata really happened? Or should they instead dignify the Ramayana and Mahabharata (which 70s’ Leftists failed to do) by modern interpretation? Sanskrit in its time was a language of prestige and excellence. As a tribute to Sanskrit why not encourage linguistic excellence in modern global languages instead of trying to resurrect the Gupta Age by government diktat? Imposing Sanskrit on one hand and winning elections through the verbal violence of Sadhvi Niranjan Jyoti on the other, hardly bolsters the cause of linguistic excellence among youth. Narendra Modi’s indebtedness to the Sangh for the victory of 2014 is clear: intensive Sangh mobilisation made possible the massive win. No wonder Modi is perhaps bound to let the Sangh have its say on education and society. But has not RSS, having made Modi the figurehead of its triumphal car, not willy nilly, also accepted the need for its own personal transformation? If you anoint an individual who stands for business-friendly economics, how can you oppose free market reforms? If you anoint a youth idol, how can you crack down on kissing? The task of a modern reform-oriented government is to strengthen institutions so that rule of law and transparency is established. Keeping investors and markets in suspense on what the PM will say in one speech after another is rather old-fashioned strategy. The policy-announcements-by-speeches tactic is a reflection of the tightrope that Modi walks on where to draw the line with the Sangh. The Sangh view of modernity is needlessly jaundiced. Modernity need not mean only half-naked licentious youth, Leftist history and MNC-dominated economy. Every woman BJP member who is not a sadhvi today drips sindoor and mangalsutra as if battle-ready to fight globalisation. Yet the T-shirt clad wrestler champions, the Fogat sisters from rural Haryana probably keep alive the boldly modernist spirit of the Upanishadic Gargi more than the heavily veiled sati savitris who only uphold Victorian morality in Indian costume. When even the Vatican is re-examining its teachings on gay marriage, why does the BJP-Sangh see tradition as fixed in stone? A new mandate deserves a new rethink. It’s time the BJP-Sangh, which now politically leads the country, also led the country in a comprehensive social and intellectual rethink. Vatican II was the Catholic Church’s collective introspection on how to deal with the modern age. The Sangh needs a Hindu Vatican II. BJP as a right-wing party must fashion a modern conservatism based on thought through positions on the economy, modern education, gender justice, inter-religious marriage, youth morality and Hindu-Muslim relations. The social agenda is too important to leave to loonies who attack lovers, modern women and Muslims as part of a so-called ‘traditional’ mission. Conquering the communal demon is central to BJP achieving modernity. As long as Sadhvi Jyoti remains a vote catcher BJP cannot achieve a modernist image. Indeed Modi’s central dilemma at the moment is where to draw the line between the Sangh worldview and a modern political BJP. A modern BJP should locate its right-wing identity in economics, not in religion. Whether it likes it or not, the BJP-Sangh now needs to embrace a more substantive modernity beyond the smartphone-Vedic science combination. Modi won because he answered a cry for change and must balance the pulls of the Sangh by enlivening tradition with bumper doses of modernity. Don’t see Sans-krit as frozen Vedic glory; instead imbibe its spirit of excellence. Don’t get lost in proving the ‘trueness’ of the Mahabha-rata, instead as a tribute to it, throw open the world of books instead of thought poli-cing and book burning on campus. Don’t defend astrology as the best science, instead ensure every child has access to quality teaching, so modern India can replicate the golden era of mathematics. Do the ancients a favour by imbibing their readiness to change and innovate, don’t destroy them by making them enemies of progress. The Aam Admi Party’s (AAP) earth shaking debut in Delhi compel political scientists and sociologists to redefine their understanding about Indian politics. Everyone thought that the pre-poll and exit poll surveys are exaggerations. The crowd swell for Arvind Kejriwal’s election campaigns is just public obsession with a just born political baby. But the Delhi assembly election result had given drubbing to all the calculations. Now the new age media like Social Networking Sites will find more takers. Although every political party is present in the new media, their work is not to the level of AAP. There are more than 16 lakh followers for Arvind Kejriwal in the Facebook. The AAP band of volunteers work day and night for the rejuvenation of India. The new voters and tender youth are disgusted with the traditional political parties which deceived the nation. AAP is the alternative which they depend upon for the betterment of India. Congress party is non performing in the SNSs too. What is the use of good work if it is not communicated to the voters? What is the point in keeping mum when the AAP was attacking it with corruption cases? Why the Congress party did not counter these allegations? AAP had a free run in charging both the Congress and BJP. On the other hand, AAP too followed the traditional method of candidate fielding with the help of caste, class and gender. Along with the social factors, AAP repeated its slogan, “Sab neta chor hai”. AAP adopted every trick in politics. But Congress and BJP underestimated its impact never withstanding the pre poll surveys which gave AAP a stunning debut. AAP attacked both Congress and BJP. Sheila Dikshit was confident of winning for the fourth time. BJP quickly changed its candidate, Vijay Goel who was accused of massive corruption and nepotism by the AAP. Its Harsh Vardhan had taken the sheen out of AAP’s corruption campaign against BJP. Although both Congress and BJP failed to nip the AAP in the bud it was the former which was damaged totally. In the end it was dust biting defeat for many election veterans in the hands of AAP. Sheila Dikshit, three terms Chief Minister of Delhi and a popular face of women’s political power was ejected out of the New Delhi seat. Arvind Kejriwal defeated with over 25000 votes. Ch.Prem Singh who won the elections continuously for the past 40 years had to bite the dust in Ambedkar Nagar constituency because of the negative campaign unleashed by AAP. The story is same with Rajkumar Chauhan in Mongolpuri constituency. The main accusation put forth by AAP was that the traditional political parties are corrupt, casteists and pseudo-religious. AAP promised to be clean and secular. On the contrary the string operation carried out before the Delhi assembly election shows that the AAP candidates are faster than the traditional political parties in taking money for their personal benefits. Arvind Kejriwal’s meeting with the Muslim cleric hit the nail on AAP’s secular head. Against the rule book of the Election Commission, AAP carried out negative campaigns against the opponent candidates. Its members were caught in the string operations. The immediate reaction from AAP was “fake operation” “needs the raw footage” which other political parties used to react immediately after the exposure of string operations. What difference it makes? Another political party, another corruption, the nation moves? But this is not the way which people who voted for AAP wanted. Mostly young people who for the first time in life voted wanted a real change in India. That’s why majority of the first time voters have chosen AAP over traditional parties. One of the most shocking news for the traditional political parties is the big impact of AAP among the Scheduled Castes. It has dented the parties like Congress and BSP which championed the SC cause and used to walk away with the chunk of SC votes. BSP which garnered 20% of votes in the reserved constituencies in 2008 has got only 5% this time. AAP has won 9 out of the 12 reserved constituencies in Delhi. It has trounced SC veterans like Chaudhary Prem Singh and Rajkumar Chauhan. AAP has also got four sikh candidates elected. In short, youth, women, SC, ST, Sikhs, upper class, middle class, lower class, every social group has voted for AAP. All the three women candidates who won in the Delhi assembly election are from AAP. AAP has built itself as a formidable political force with its rich experience in spearheading mass movement. Campaigns headed by Arvind Kejriwal against privatization of water in Delhi, RTI act, anti-corruption movement and Jan Lokpal have laid the strong foundation for his political growth. If Delhi assembly result was negative to AAP its future might have gone nowhere. But with the flip it got in Delhi, the journey seems to be exciting, positive and potential. Corporate ethics in India is flying in the air. Almost all corporate companies have been caught in the corruption net. The tragedy of globalised times is that even the uncompromising corporate companies have embraced corruption. From Tatas in the 2G scam to Reliance in the KG Basin Price Rigging to Jindals in the Coalgate scam to Sahara in the investor cheating to Satyam in the book cook up case, the list is full. One of the critical reasons for the booming corporate corruption is the mushrooming of middle men and women. The brokers (dalal) have mesmerized the corporate world with their amazing bowling skills. The corporate wickets have been falling one and after the other. Unfortunately none of them are returning to the pavilion. All those who are caught in the corruption cases have been staying on the crease. The umpires have been bought and the audiences are watching helplessly. Why corporate India is becoming more and more like the destroyed IPL? How come the onus of national development in an ethical way is left unattended? There is no possibility of recovering corporate ethics? Despite having a Ministry of Corporate Affairs things seem to be going haywire. The Competition Commission of India is slowly started to having some impact. It has started to show its powers to the corporate companies. The regulatory bodies like Telecom Regulatory Authority of India (TRAI), Insurance Regulatory Authority of India (IRAI), Security and Exchange Board of India (SEBI) and Real Estate Regulatory Authority of India (RERAI) are great inventions to control the customer duping in India. The corrupt corporate culture is not India specific. Even the global giants like Citibank, Enron, Xerox, WorldCom, Daewoo, have been messed up in the scandals. The bubble of mismanagement of corporate companies was blown up by the vigilant media. Even the inter-corporate rivalry exposes the scandals inside the corporate world. The fallout of corporate companies weakened the American economy which affected the world economy in general. The Chinese who are known for disciplined state control are also dancing to the global corruption tunes. From the famous Politburo member of Communist Party of China, Bo Xilai to the bottom down there is an enlarged corruption in Communist China. According to the KPMG Inida Fraud Survey Report, 75% of the corporate executives admit that there is fraud in their companies. They also say that there is no way to detect and punish the fraudsters. These frauds are present in different spheres of the corporate sector. The nexus between companies, bureaucrats, politicians and suppliers damage the corporate world devastatingly. Cell phone companies are experts in duping the customers and tax authorities alike. Evading tax and service charges are common in the cellular circles. Despite heavy fining which runs into hundreds of crores, the cellular companies haven’t learnt any lesson. They continue to invent novel ways to extract money from the subscribers. Apart from cheating customers and the government, the cellular companies knowingly or unknowingly involve in collaborating with foreign companies which may endanger the national security. The 2G scam was not just financial mismanagement and scandal saga but it was also a major national security threat. Enemies of India are engaged in a global project which promises to destroy the unity of India. The Cellular companies have become party to this project unknowingly. Insurance sector is another trouble area where there is massive disenchantment of investors. While talking sweetly before investment, investors are made to run from pillar to post after the investment. This is sickening when the investors were put in extreme hardships while reclaiming the insurance money of their deceased family member. Even one insurance company’s advertisement pulls another company’s poor customer dissatisfaction. It portrays the irresponsible behavior of the opponent company’s staff in handling the customer query. This is common in almost all companies. In order to deal with the pan Indian customers in a real time basis, customer care centers were opened by all corporate companies. Unfortunately these call centers have become trouble enhancement centers. Those who call up these call centers have to undergo indefinite wait to get some vague answer. The long automatic directions increase the blood pressure of the caller. Why not give the “talk to call centre representative” as the first option? Those who know the automatic number options will do it on their own. Why to increase the caller’s agony? A revolution in the customer care is needed from the Indian corporate companies. Without which they will head towards fall. From mega corporate companies to tiny business entities ‘milk the customer’ campaign is spearheaded systematically. The hard earned money of poor people are duped through fancy advertisements and marketing. Defrauding lenders 17%, defrauding the government 13%, defrauding the investors 13%, Evading taxes 12%, others 45% account for the corporate fraud in India. KPMG report says that the corporate companies instead of taking against the perpetrators of fraud are soft towards them. Either they are removed from the company or the fraud is completely white washed. Unethical practices on the part of corporate India dents the foundation of India. Government agencies which are supposed to watch over these fraudsters ironically collaborate with them. When it reaches unmanageable proportion, the fraudsters are arrested and released in no time. Why there is no proactive approach in saving the customers and investors? What the consumer forums are doing? Why the consumer courts are watching these public duping so helplessly? An alert watch dog is a must to contain the injustices meted out to the customers and investors. Media advertisements by the Ministry of Consumer Affairs are a step in the right direction. Its frequency must be increased. There is no point in creating employment and wealth by the government. It must also protect its hard delivered duty. Corporate fraud cannot be eliminated intoto. Reducing the corporate fraud from the current 75% to 15% will be a herculean task. In order to reduce the corporate fraud, the companies need to constitute internal vigilance committee with people of impeccable integrity. This internal vigilance committee should meet regularly and discuss the ethics of the company behind the screens. Face to face meeting with the staff can motivate them to avoid frauds. A unanimous decision of the India Inc not to patronize corruption at any level can boost up the confidence level of honest staff. Vigilant public, active media and finally strong internal audits can control the corporate corruption. Conenen, Tracy L (2013) – Essentials of Corporate Fraud, Wiley & Sons, New Jersey. KPMG India Fraud Survey Report (2010) – KPMG India. TARI Report (2013) – Understanding the demand and supply equations of corruption and fraud: An insight into the corruption and fraud by the private sector in India. Thought Arbitage Research Institute, New Delhi. America is a super power nation because of its immigrants. No doubt about the influence of immigrants in the forward move of the envious nation. Without understanding the correlation between the American growth and the involvement of immigrants, some of the members of the American ruling class are favouring elimination of the immigrants. This wrong policy not only eliminate the immigrants but also its ability to stand tall in the comity of world nations. It is time that this hard truth is realised by the concerned people in the White House. Last week, President Obama made a startling concession to the Republican Party: that he would accept a piecemeal approach to overhauling America’s immigration system. “If they want to chop that thing up into five pieces, as long as all five pieces get done, I don’t care what it looks like,” Obama said. This is startling because, for the past few years, Democratic Party leaders have insisted on an all-or-nothing approach to immigration. They would not agree to increase the numbers of visas for skilled workers unless the Republicans agreed to legalize the more than 10 million immigrants who are in the country without documentation. The Republicans refused to provide “amnesty” to the unskilled, so the Democrats let the skilled immigrants — and US competitiveness — suffer. This is no different from the juvenile behaviour you see in the Indian Parliament. The President realizes the political reality and is trying to get whatever he can through the system. But it is unlikely that he will have any success on immigration, because House leaders are still reeling from their loss on the fiscal shutdown and will not hand the President any kind of political victory. This is bad for the US but is good news for India. That’s because the US has been giving India, China, and many other countries an unintended gift: highly educated and skilled workers with experience in US markets. It has been sending would-be immigrants back home; exporting its competitive edge. Skilled immigrants made America into a technology superpower. Wave after wave came to America’s shores and brought with them their education, knowledge of global markets, and determination to achieve success. They made the natives think smarter and work harder and contributed to practically all of its technology breakthroughs. My research team at Duke, Harvard, and UC-Berkeley documented that from 1995 to 2005, immigrants founded 52% of Silicon Valley startups, and 25% of startups nationwide. They contributed to 72% of the WIPO (World Intellectual Property Organization) patents filed by Qualcomm, 65% of those by Merck, 64% of General Electric, and 60% of Cisco Systems. Indians also co-author 13.7% of America’s global patents. Indians have founded 33.2% of Silicon Valley’s immigrant-founded startups — more than immigrants from any other ten countries combined have, including China, the UK, Canada, Germany, Israel, and Russia. Despite this amazing contribution, the US is allowing itself to bleed competitiveness. It admits hundreds of thousands of students and workers on H1-B visas, but doesn’t provide enough permanent-resident visas to let these skilled foreigners make the US their new home. The result is that there are more than a million skilled immigrants and their families stuck in “immigration limbo”. I explained the reverse brain drain that is in progress and the consequences of this in my book The Immigrant Exodus: Why America Is Losing the Global Race to Capture Entrepreneurial Talent. In a nutshell, because of improving opportunities in countries such India, China, and Brazil — and out of frustration with the delay in visa processing — the tide has turned. Skilled workers are returning home in record numbers. In research that my group at Stanford completed recently, we found that the proportion of companies founded in Silicon Valley from 2006 to 2012 that had been founded by immigrants had fallen to 44%. This was not because immigrants had become less entrepreneurial, but because they could not get the visas necessary for starting companies. America’s loss has been a huge gain for other countries. If you visit any top Chinese research lab, you will find returnees from the US at their helm. The tech centres of both India and China are growing rapidly with the infusion of Silicon Valley-trained talent. These returnees are bringing America’s best practices and entrepreneurial culture back home with them. American leaders are well aware of the damage that the brain drain is doing to US competitiveness. The President has cited my research in his speeches, and I have been asked to testify to both the House and Senate. The problem is that in addition to the issue of amnesty, there is also a xenophobic element in the US that wants to keep foreigners out. And there are technology workers prevented from getting jobs by their location, age, or skills. They are all rallying against immigrants and complicating the factional battles in Congress. This is creating the stalemate. So India may be suffering from its own political quagmires, but it is benefiting from America’s. Urban areas are fast becoming hellish. Too much of crowd, too little resources and too far from satisfaction. Incompetent administrators coupled with corruption is contributing for this mess. Despite announcing Jawaharlal Nehru Urban Renewal Mission there is not much of progress in the Indian cities. Crores of rupees are invested in shining advertisements about the shining cities. But in reality all the Indian cities are suffering. Each city should have a group of visionaries and stakeholders to develop into clean and liveable city. Without such group of people striving towards cities development none of the Indian cities will be liked by their own people and outsiders. India is a reluctant urbaniser. 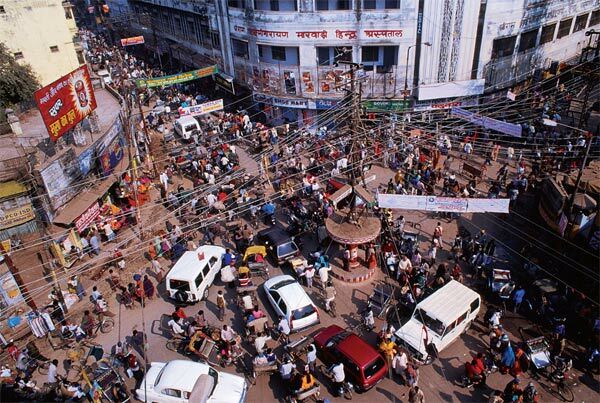 The Indian city is chaotic, unclean and unsafe. Lothal, Pataliputraand Ujjain were once cosmopolitan centres, planned around commerce and geography. Bad planning and governance scarred our cities, with the middle class driven away by rigid ideology, massive migration and industrial tension. Urban planning remains a farce. We face a magnified situation today. In 20 years, 590 million of us will live in 5,000 cities and about 400 urban agglomerations, with little institutional and administrative machinery. According to the UN, 309 million internal migrants will swamp these centres working in temporary professions, while facing a denial of basic public services. We lack 19 million urban houses, offering an average water supply of just three hours, with urban sanitation provided to just 37%. Journey times in our cities could fall to just 6-8 kmph with a concomitant rise in pollution, far beyond WHO standards. The tilt towards tier I cities will lead to bad governance and “elite capture”, with little exposure to state development schemes and private sectorinvestments in tier II and III cities. Agricultural and forest land will continue to be lost to development projects, characterised by poor urban infrastructure and weak democratic institutions. Our polity lies imperilled. Urbanisation can be managed. According to McKinsey, we need $1.2 trillion of capital investments over the next two decades, with our road and subway network requiring a 20-fold expansion. The rate of job creation needs to be accelerated, reskilling the urban poor with provision of basic public services and financial inclusion. Our urbanisation strategy needs to be focussed on five key elements – inclusive governance, urban planning, local financing, capa-city building and smart cities. Urban governance is shackled, with limited fiscal autonomy and rampant rent-seeking behaviour. Planning Commission suggested the transfer of all 18 functions identified in the 74th constitutional amendment to urban local bodies (ULBs). An independent utility regulator is needed, to monitor and adjudicate disputes on public service quality and pricing, with a published Citizens’ Charter containing comprehensive information on guaranteed public service quality levels. An elected and empowered mayor and a metropolitan system with single-point accountability for all urban localities is needed, providing unified authorities for transport, water supply and sanitation. We need Lokayuktas at a locality level to challenge bureaucratic incompetency. Financing this sounds steep, but need not be. Municipal finance needs to be strengthened, with access to land monetisation and municipal bonds ring-fenced with city development funds. At least 25% of GST and all property taxes should be shared with ULBs – they generate most of the revenue, they ought to keep some of it. FSI indexes need to be increased, leading to greater land revenue and less environmental pressure. Public services should be indexed to inflation and operating costs, offering a minimal return. Public-private partnerships can help raise investments from the private sector. The JNNURMallocation must be trebled, at least for short-term financing. We lack efficient capacity in urban management. We need a dedicated municipal civil service, focussed on relevant technical skills, offering lateral entry. JNNURM and NSDC can be tasked with developing an appropriate framework that addresses staffing, training and skill deve-lopment issues. ITIs and ITCs need to be strengthened, with private sponsorship encouraged. The Indian Institute of Public Administration, National Institute of Urban Affairs and a proposed Indian Institute of Urban Management must be encouraged to provide policy advisory services to the urban development ministry and state bodies. Most city residents can no longer afford housing. The scar-city of land, partially due to regulation-mandated suboptimal land usage and cartelisation, along with stratified house financing options, prevents a step on the housing ladder. At least 25% of new development area should be mandated for affordable housing, with appropriate monitoring. Slum redevelopment can be triggered through partial rezoning, capital grants and interest rate subsidies. A national mortgage fund, akin to Fannie Mae, must be created to spur lending to low-income groups. Our cities can be smarter. We can experiment with new ideas like the aerotropolis concept, building cities around airports, or Paul Romer’s charter cities, with maximal autonomy in governance. The overhyped industrial corridors between our metros must be aligned with local urban planning to ensure sustainable development. Inner city transport could be revolutionised using straddling buses (demonstrated in China), cycle rent schemes and elevated monorails. Age-old concepts like ‘baolis’ should be revived to serve as rainwater-harvesting pools. The advent of big data systems implies the potential to utilise effective monitoring systems, adding cachet to local e-governance. Long the neglected child, with the rural hinterland praised as the civilisational heart, cities are powering our economic build-up and need attention and funding along with autonomy. They create new local businesses, helping foster indirect employment. Our urban citizens put up with political and social neglect, whilst helping to create social value. They struggle amidst an economic slowdown, with rising food prices, uncertainty about their children’s education and a constant shrinkage of public sector opportunities. It’s time we heed them. Human tendency to think that others are better than themselves is an age-old issue.If this thinking is very limited then there is no harm. Problem starts if it crosses the limit. The Indian education sector is crossing the maximum limit in leaning towards foreign education providers. The craze for foreign education is getting stronger day by day. Apart from 2 lakh students going annually abroad for higher education, the government of India is hell-bent on allowing foreign universities to open their shops in India. The clever Indian public may welcome foreign universities with open arms but they will never patronise in a big way. This is evident from the foreign retail chains. They are sad because the Indians have not embraced their products as much as they were projected. Similarly the foreign education providers will feel disappointed and dejected once they set up their India campuses. The Indian government should strengthen the quality of local higher education. Despite infrastructural bottlenecks and pythonic procedures in the academia, performance of the Indian academics is not very bad. In order to tap the full potential of the Indian academics it is essential to provide stress free and harassment free ambience for excellence research outcome. The government of India’s decision to allow foreign educational institutes to operate independently in India has opened the doors for new debate. Till date foreign institutes needed an Indian educational institute as an active partner for their operation. Those who advocate the recent move of the government see this step as some sort of a breakthrough and are expecting a huge change in the higher education system of India. However, detractors suggest to take a pause and analyse the socio-economic impact of the move before becoming too optimistic. Let us look at the developments so far. The department of industrial policy and promotion (DIPP) and department of economic affairs (DEA) have agreed to allow overseas universities to operate under Section 25 as non-profit companies under the newly passed Companies Act. Earlier, this was to be considered under Foreign Education Providers (Regulation) Bill (pending in parliament for about three years), but now it is covered under the University Grants Commission (UGC) Act. The government took this decision in haste, without even making efforts to pass the bill in parliament. This act of government is questionable. Question also arises about the motivation behind the move. Is this an effort by the government to attract foreign investments in the country? The present regime at the Centre has been criticised enough for its failure to bring investment into a developing India. From India’s perspective, it is not a great idea to aim for foreign investment in education when there is underutilisation of domestic capital in the sector. From the perspective of foreign varsities, they will only come when there is an incentive of returns on their investment. But companies registered under Section 25 of India’s Companies Act cannot distribute profit or dividends to members. This means that the foreign varsities will not be allowed to repatriate money. Then, why will some foreign entity come to India if it is not allowed to send back profits to its parent entity? Another challenge for these foreign universities will be the cost they will have to bear to bring up their Indian campuses. Most of our institutes get subsidised land to build their facilities. It is unlikely that the government will provide land to these universities and with the Land Acquisition Bill being already passed in parliament, it will not be easy for these institutions to build their campuses in India. Add to this the deposit an amount of Rs 25 crore that the foreign universities have to maintain with the human resources development ministry, which they will forfeit in case of any violation. Moreover, for opening a campus in India, an educational institution needs to be in the top 400 in one of three global rankings — the UK-based Times Higher Education Ranking; the UK-based Quacquarelli Symonds ranking; and the China-based Shanghai Jiao Tong University rankings. This will be difficult considering the fact that high-ranking educational institutes are reluctant to open new campuses for the fear of brand and quality dilution. If one looks at the global trend, it would be found that generally top-ranked universities open small centres and not full-fledged campuses in foreign countries. Another supporting argument that has been given in favour is that this move will help Indian students get foreign education at an Indian price. Additionally, it will help those Indian students who are unable to go abroad due to financial constraints. The above reasoning is based on the assumption that fee charged by these universities will be lower in local campuses. This assumption might not hold because tuition fees are likely to match their parent institution. Other expenses might be lower but the overall cost of education in these foreign universities will be significantly higher than their Indian counterparts. Moreover, this might also lead to Indian institutions increasing their fee to match the standards of foreign universities. Some experts are of the opinion that, by having foreign universities in India we will be able to reduce the number of Indian students going abroad. In India, we have over Rs 2.1 crore annual enrollment in higher education and around 2 lakhs go abroad for pursuing higher studies. This is not a very high percentage and students studying abroad not only add to our intellectual capital but in some way represent India in a global community. India’s higher education system is the world’s third largest but it only educates around 12 per cent of the age group. China educates around 27 per cent. What we have to ensure is to increase the annual enrollment rate in higher education and that will not happen by having foreign universities with a high fee. Relying on foreign players is not the ideal way of achieving self-reliance. Only, a clear vision of the government and continuous investment over a long period of time can help our educational system to mature and be capable of fulfilling the needs of a nation. Currently, we spend about 3 per cent of our GDP on the education sector, which is not enough for a nation with 50 per cent of its population below the age of 25 years. Having a mature higher education system has its own benefits and many nations in the world such as the USA, the UK and Australia are reaping those benefits. They attract a significant number of students from countries all over the world. This not only brings foreign money but also adds to their diversity which has its own intangible benefits for a country. Ancient India was renowned as a centre of higher learning and we must aim to regain that status. This will only happen when our central and state governments increase their spending on quality higher education. Today’s requirement is not for foreign universities but upgrade of existing universities which are able to compete with foreign universities. There is no doubt that there is a huge demand and supply gap in our higher education system. Inviting foreign universities to fill this gap seems attractive, but what stops us from building our higher education system indigenously? The Indian education system should not be degree-driven, instead it must be dividend-driven. Ruling parties tend to control all levers of power. Congress party’s vibes at the Comptroller and Auditor General of India (CAG) is deeply wounding every genuine citizen of the country. CAG is doing his job. Reminding government about the losses and warning about the future losses. If CAG sings Government tunes then it is doing disservice to the constitution. It is dangerous to infringe on the rights fo CAG. At the moment making CAG will dilute its new found energy. But what if all three members turn out to be genuine and take on the government? The Congress party must stop its evil designs and start putting the nation back on track. Otherwise it will face total rout in the coming parliamentary elections. During the last few days there have been many comments on the report that the government of India was considering a proposal to make the Comptroller and Auditor General of India (CAG) a multimember body. The move has been widely seen as a maladroit one. Most of the points that need to be made in this regard have been made succinctly in the excellent editorial in The Hindu on November 13, 2012 [“Controlling the auditor”]. This article will deal with some of the issues not covered in the comments that have appeared so far. If one looks at Supreme Audit Institutions (SAIs) around the world, one will find both single-member SAIs (e.g., the United Kingdom, the United States, Canada, etc) and multimember bodies such as Audit Commissions or Courts (France, Germany, Japan, Indonesia, the Philippines, etc). Both forms seem to be working well. There seems to have been no general or widespread debate on the form of the SAI. 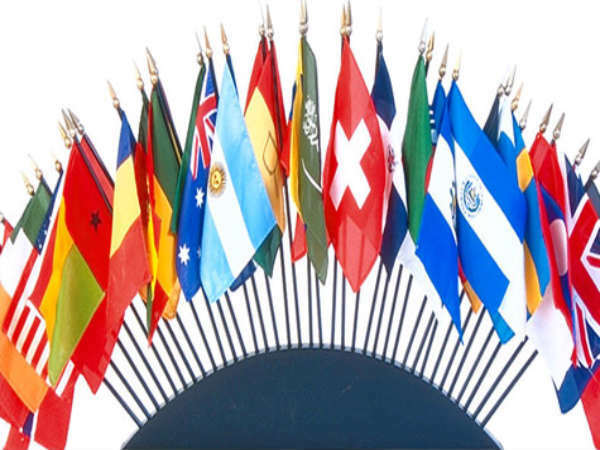 Single-member or multimember, whichever form a country starts with seems to stay unchanged. There seems to be hardly any basis for supposing that the SAI works better in countries with the multimember form than in countries with the single-member form. Hypothetically speaking, if in India we had started with a multimember SAI, we would probably have stayed with it. As it happens, the U.K., the U.S., Canada, etc, have single-member SAIs, and we adopted that pattern. One has not heard that there has been dissatisfaction in England or America with the form of the SAI and a desire to change it. Why then should we depart from that well-established pattern? It cannot be said that the Indian Audit Department has not been functioning well. It is internationally well regarded, is a highly respected member of the International Organization of Supreme Audit Institutions (INTOSAI) and its Asian counterpart, the Asian Organization of Supreme Audit Institutions (ASOSAI), and is performing an important role as auditor of several United Nations bodies. What then is the need for a structural change? If the idea of making a change has emerged in India from the feeling that there has been an “overreach” by the CAG, the critics should take a look at the subjects of the audit reports of the National Audit Office in the U.K. and the Government Accountability Office (GAO) in the U.S. Their scope and range are breathtaking. The important change in the history of the Election Commission (EC) was its greater public visibility after T.N. Seshan’s tenure. He made it fully aware of its own strength. This has nothing to do with its structural form. The EC has continued to function reasonably well after the change to a three-member body, but quite possibly, it would have done so even if it had continued as a single-member body. It is very difficult to say that the conversion into a three-member body has meant a marked improvement in its functioning. This is largely a question of the functioning of the individuals constituting the commission. On the other hand, there have been reports of dissensions within the commission from time to time. One can at the most make the negative claim that those dissensions, which must have made the functioning of the commission difficult, did not succeed in paralysing it. The history of the EC provides no clear answer as to the comparative merits of a single-member body and a multimember body. Theoretically it could be argued that a collegiate form is better, but in practice there seems to be no compelling or urgent reason for a change. Assuming that there is a case for a collegiate form, that is not the most urgently needed reform, if it is a reform at all. What is more important and urgent is the need to respect the CAG as a constitutional functionary (the most important constitutional functionary according to Dr. Ambedkar); refrain from denigrating it in an unseemly fashion merely because its reports make the government uncomfortable; accept the accountability that it enforces as mandated by the Constitution; strengthen its hands in every way; take its reports seriously and respond with due corrective action; ensure that the selection of this high functionary is based on proper criteria and procedures; make the selection transparent and bipartisan; and so on. To ignore all this and advocate structural change is frivolous if not disingenuous. It has been stated that the Shunglu Committee has recommended it. One wonders whether that committee had any business at all to recommend structural changes in the CAG’s organisation. Be that as it may, the fact that Mr. Shunglu made some recommendations is of no great consequence. (One recalls his controversial reports on IIM Ahmedabad and on the rehabilitation issue in the Sardar Sarovar Project.) The case for a multimember SAI needs to be examined carefully. As has been argued above, it is not established, and is far from being urgent. It is clear that what lies behind this move is not the Shunglu Committee’s report but anger with the present CAG and a desire to clip his wings, just as it was the desire to hamper Seshan’s functioning that led to the conversion of the single-member Election Commission into a three-member body. This has been recognised by all, and need not be laboured. The analogy with the Election Commission is imperfect. The Constitution provided for the possibility of a multimember Commission, and left the choice to the government. The EC started as a single-member body and continued so for many years, and then was made into a multimember body, under the existing constitutional provisions. There is no parallel enabling provision in the Constitution under which the CAG can be made into a multimember body. Such a conversion would require a constitutional amendment. With a hundred things on its hands, why should the government even think about undertaking a major constitutional amendment of this kind at this stage? This in itself is sufficient ground for suspecting the motivations behind this idea. Further, the danger of initiating fundamental structural changes in this hoary institution is the opportunity and the temptation that it would provide to wipe the slate clean and rewrite the CAG’s charter, downgrading and diminishing the institution. One suspects that that is not just a “danger” but is in fact the intention. If that suspicion were true, what a travesty it would be of the noble vision of this institution entertained by Dr. Ambedkar, Dr. Rajendra Prasad, Dr. Radhakrishnan, C. Rajagopalachari, T.T. Krishnamachari and others. 1. It was surely not through inadvertence or forgetfulness that the Constitution provided an option of a multimember Election Commission but did not do so in the case of the CAG. We must presume that this was a deliberate distinction. If so, would it be right to obliterate that distinction by an amendment? 2. A constitutional amendment that would convert the single Comptroller and Auditor General of India into the head of a multimember body (whatever the name) will be a major structural change. If so, presumably it can only be brought into effect for future appointments and cannot be made applicable to the present incumbent appointed under the existing provisions. If so, would the government still be interested in the amendment? 3. The sections relating to the CAG are not specifically mentioned in Article 368(2) of the Constitution which requires ratification of amendments by not less than half the State legislatures, presumably because the Constitution-makers did not expect those provisions to be amended. However, would not any constitutional amendment affecting the institution of the CAG (who is CAG for the States as well as the Centre) require consultation with the States, even if 368(2) does not apply? Craze for professional courses started in 1990s. The biggest victim for the professional courses craze was erstwhile superstar colleges. Madras Christian College which churned out charming and leading personalities of the subcontinent is the worst victim for professional courses. The hit which it got is not yet set right. Very late steps were taken to diversify and modernise the courses.But it did not pay up to the mass expectations. When qualitative students stopped coming, faculty members too started degenerating. Compounding this crisis was AUT (Association of University Teachers)- Management tussle. Another death blow for the illustrious MCC was the total interference of the board in day to day affairs of the college. Religion which was the central guiding force for the great scholarship development and niche craving changed. What was the life force of MCC’s popularity – Scottish Christian Missionary got overturned. The same religion has been used for few people’s personal and group agenda. No wonder about the sick situation today. 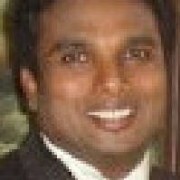 Despite having a sincere and efficient principal, Dr.Alexander Jessudasan, the MCC might have hit the worst. I think this may be an error in the paper work of UGC -MCC correspondence. But it is a great wake up call to rejuvenate the masterpiece of India’s higher education. The Madras Christian College (MCC), one of the oldest higher educational institutions in the country, has lost its long-held autonomous status. The University Grants Commission (UGC) has refused to extend the top ranking arts and science college’s autonomous status due to certain perceived deficiencies. “The UGC standing committee on autonomous colleges, which inspected the MCC following an application by the institution for extending its autonomous status for five years, had pointed out certain academic and financial deficiencies. Therefore, at our 487th meeting we decided not to recommend autonomous status extension for the institution,” a UGC official told Express on Wednesday. It is learnt that the standing committee had pointed out that the college, which was among the earliest institutions in south India to get an autonomous status, had failed to apply for re-accreditation from the National Assessment and Accreditation Council (NAAC). The college had earlier obtained the ‘A+’ rating from the NAAC, but failed to renew it. MCC principal R W Alexander Jesudasan said he was unaware of the UGC decision to deny extension of the autonomous status. “I had received a letter from the UGC seeking certain documents pertaining to the visit of the NAAC peer team and some financial papers. I have been working on it. There is nothing alarming for now. I have sent the documents and visited the UGC office in this regard,” Jesudasan said. However, a senior MCC professor expressed concern over the development. “We have enjoyed a global reputation. If we don’t get the autonomous status extended, it will harm our standing,” the professor said. Asia is a different continent. Very cool continent with no hurry. There are some exceptions in Asia too. Japan is one of the most important exception. They are serious, sincere to the core and rapid in action against those who attack their citizens. The worst rule in Asia are India, Pakistan, Bangladesh— in short the south Asian subcontinent. This region pays least attention to the lives of its citizens. Whether attacks from external sea men or internal terrorists, the government pays no heed to the cries of innocent citizens. 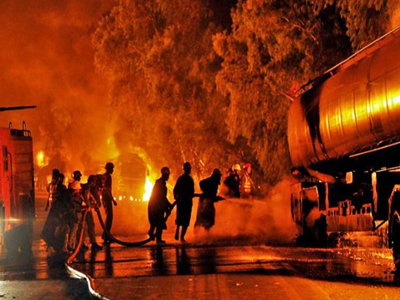 The recent fire in Karachi where the garment factory got gutted with hundreds of workers is a saddest episode. In the post globalised Asian society, the human lives have become dead cheap. The killer fire that consumed nearly 300 lives of garment workers in Pakistan’s commercial hub of Karachi has reignited a core question dogging the process of globalisation: Which section of society in developing countries benefits from economic growth and integration into the international economic order? The victims in the ill-fated factory had been trapped with no exits, behind locked doors and metal grills, as the inferno raged. It was a ghastly illustration of a flawed design of modernisation based on the outsourcing model and the global supply chain. The Ali Enterprises outlet in Karachi, the site of the incineration and asphyxiation of poor wage labourers, is one of several suppliers to international textile brands which invest in developing countries due to the cost and operational advantages of cheap labour and lax regulations. KIK, a German apparel retailer, is the only company that has come forward and accepted that it had contracted part of its production process to Ali Enterprises, which churned out denim, knitted wear and hosiery, and is said to have had a capital base of $10 million to $50 million. News reports hint that Italy’s Diesel jeans brand could also have outsourced production to this factory, but the full list of foreign patrons may not be uncovered due to the seedy nature of Ali Enterprises and the cosy relationship of the factory’s Pakistani owner with the local bureaucracy and state machinery. As the blame game for the tragedy spreads within Pakistan (where a cottage shoe factory in a residential area of Lahore also went ablaze on the same day as the Karachi accident and claimed 25 more lives), statistics reveal that the apparel industry is a backbone of the national economy. In 2011, garments accounted for 7.4 per cent of Pakistan’s GDP and employed a whopping 38 per cent of the country’s industrial labour force. Sixty per cent of the total export income of the country is generated by this sector. Given its centrality to Pakistan’s limping economy, the factory mishaps in the garments industry have sadly become acceptable as occupational hazards that cannot be avoided for the sake of “progress”. Local entrepreneurs who guarantee the best of terms to global retail and fashion brands are hoping that they can go back to business as usual, which is a prison-complex model of manufacturing where desperate workers with no better choices are herded in with no guarantees of safety or decent wages. The New York-based self-regulatory standards authority in the apparel sector, Social Accountability International (SAI), is also complicit in the affair as its inspectors recently gave a clean chit to Ali Enterprises. SAI is an industry-funded entity with no independent perspective, least of all empathy for workers. Self-regulation by corporations is a ruse that can never substitute for honest and functional state regulation. But the discourse on corporate globalisation has dissed the state’s legitimate role in the economy. This ideological, globally propagated abhorrence of state intervention in the markets, coupled with local crony capitalism and institutional weakness on the ground in developing countries, is the root cause of industrial hazards which routinely occur in low-wage manufacturing hubs like Pakistan, Bangladesh, China, Indonesia, Vietnam and Thailand. It is a state failure reinforced by market failure from top (global) to bottom (grassroots). The International Labour Organisation notes that occupational fatalities are declining in industrialised countries but steadily rising in developing and late industrialising countries because of “the export of dangerous jobs” from Global North to Global South. If states in the Global South defend workers’ rights vis-à-vis multinational corporations and their local contractors, they risk capital flight and migration of Foreign Direct Investment to rivals. By structuring incentives in the global economy in a way that attracting and retaining foreign capital are core functions of states and absolute imperatives for “development”, loss of lives of a few thousand workers every year are now tolerated as part of the bargain and as incapable of disturbing the linear march of the global economy. Globalisation, as many leaders of developing countries keep parroting, is “irreversible”. It is in this ideational milieu that the ongoing explosive standoff between the South African government and the mining workers of the platinum and gold belts is transpiring. It has rocked the post-apartheid political space and raised questions about the trade-offs between satisfying foreign investors and crushing workers’ rights. After the South African police shot dead 34 striking miners demanding pay rises in the Marikana platinum mine, unrest spread like wildfire and the ruling African National Congress has pressed in the Army to face down the protesters. The insensitive response of the state to grievances of labourers has shocked ordinary South Africans, who were used to such impunity during the dark days of white minority rule. Since platinum and gold are mainstays of South Africa’s economy, as in the case of textiles in Pakistan and Bangladesh, the workers’ agitation is being painted by sections of the black elite establishment as a blackmail tactic for ruining the nation’s onward trek to prosperity. South Africa’s Reserve Bank governor has expressed alarm that succumbing to miners’ demands for better wages is a bad precedent which could worsen the inflation rate. “Economic apartheid” indeed seems to have never ended. President Jacob Zuma is “reassuring” foreign investors and dousing fears that the Marikana massacre and the resultant wage increase will scare away incoming capital from Europe. South Africa’s mines are still largely owned by financiers trading in the City of London. A charitable interpretation of the state’s handling of the labour dissent in South Africa is that it is balancing between the interests of the poor and the need to keep registering economic growth which is dependent on the goodwill of foreign investors. But why have these two goals entered a zero-sum game logic? Can we not have better working conditions along with high GDP growth? The rising frustration and pain of workers toiling in inhuman conditions warrants a review of the capitalist modernisation project under way in the developing world. If human life is still deemed expendable in pursuit of macroeconomic objectives, we have not evolved intellectually since the excesses of the Industrial Revolution in Europe two centuries ago.